Welcome to the Bird Ladders & Activity Centers superstore! Contrary to the popular opinion, most pet birds are not "bird brains" at all. In fact, commonly kept birds like parrots, cockatiels, parakeets, and others are incredibly intelligent and enjoy high levels of mental and physical stimulation to avoid a serious condition known as "birdie boredom." 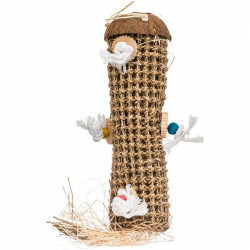 At petmountain.com, we want to help you give your bird the best life possible. That's why our bird ladders and activity centers are designed to turn your bird's cage into an entertaining jungle gym of fun! Your bird will love the endless activities, and you'll love watching its goofy behaviors. Pet Mountain's Bird Ladders & Activity Centers store features top quality products from Super Pet, one of the most trusted names in bird play centers and interactive cage accessories, including Penn Plax, Living World, and Super Pet. Our low price leader, the Penn Plax Bird Activity Center, comes in four different sizes to cater to every bird! 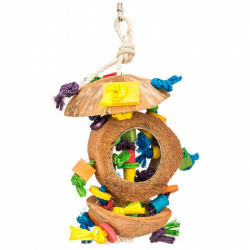 These activity centers are fun and help give your birds needed exercise and mental stimulation! 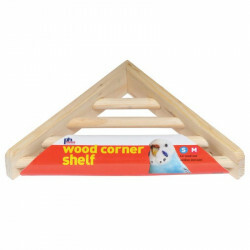 If you're looking for a great deal, our Living World Wood Ladders provide exercise and fun activity for your bird. When it doesn't feel like flying, it can try climbing! 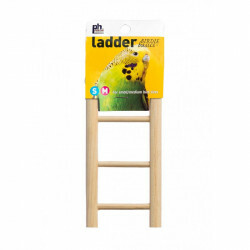 These ladders allow easy access to assorted perches, and are made of natural wood your bird will love to grip with its feet. 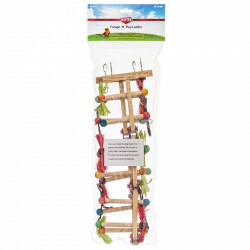 Our discount Super Pet Avian Forage N Play Challenge Ladder is more fun than challenging! 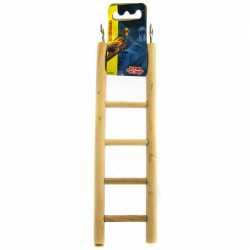 Your bird will love to play with this colorful, well crafted ladder. 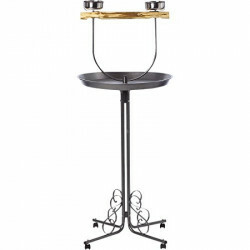 This cage accessory will help challenge your bird's natural desire to explore and investigate! Promoting healthy and recommended exercise, these are the perfect activity outlet and come with multiple textures and materials to reduce "birdie boredom"!